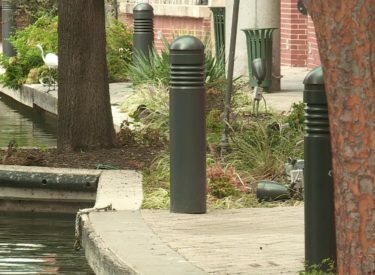 OKLAHOMA CITY (AP) – Oklahoma City officials say an electrical inspection has found that a lamp post that electrocuted a man after he fell in a canal was grounded and correctly connected. The Oklahoman reports that city officials said Wednesday that the lamp post wasn’t grounded . Oklahoma City spokeswoman Kristy Yager says there may have been a miscommunication between city workers about technical details. She says work to fix loose or damaged posts is expected to be finished Thursday. The city’s Parks and Recreation Department is working on reducing the lighting system’s voltage. Wesley Seeley of Tuttle was killed Sunday when he fell into a canal in the Bricktown entertainment district and then grabbed a lamp post to try and pull himself out. Brandon Gann of Arkansas was shocked while trying to help Seeley and remains in critical condition.